Sure thing, Di-knows-it-all. Sure thing. Bishop: If you could send those reports, that'd be great. Tony: Reports would be good. And keep us in the loop on anything else. Martinez: Sure thing, Di-knows-it-all. Sure thing. 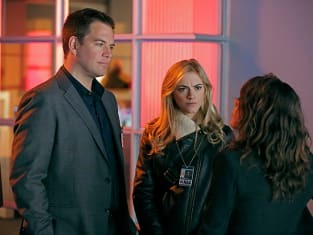 NCIS Season 11 Episode 13: "Double Back"